Xiaomi Redmi 5A sold out! 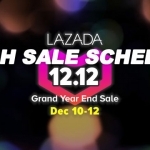 The first flash sale of the Xiaomi Redmi 5A on Lazada Philippines went very well selling out all the stocks in under an hour. Hence, Xiaomi is now re-stocking the device and will hold the second flash sale on Monday, March 19, 2018. The time is slightly different though, it’s scheduled at 1PM instead of 12 noon. 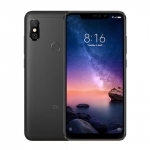 The main reason why the Xiaomi Redmi 5A sold out swiftly is the relatively high specs that it offers for an affordable price. It even carries the tagline, “Entry Level Smartphone King”. 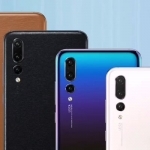 It has a 5-inch HD display, 13 Megapixel main camera and 5 Megapixel selfie camera. 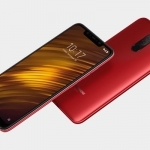 It runs on a 1.4GHz quad core Snapdragon 425 processor with 2GB of RAM, 4G LTE connectivity and the company’s own MIUI 9 software. An embedded 3000mAh battery powers the device. 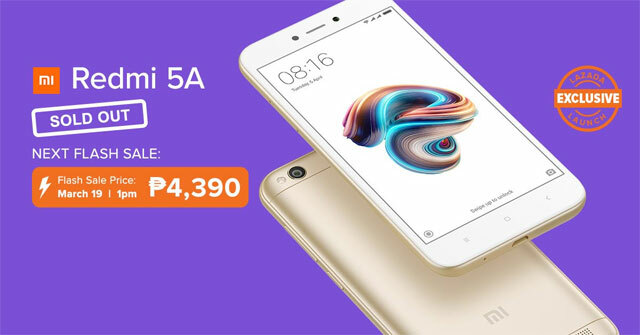 Xiaomi keeps the discounted price of the Xiaomi Redmi 5A for its second flash sale on March 19 at 1PM – that’s ₱4,390.00. 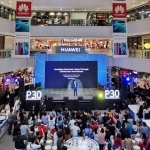 The official suggested retail price of the device in the Philippines is ₱4,590.00.